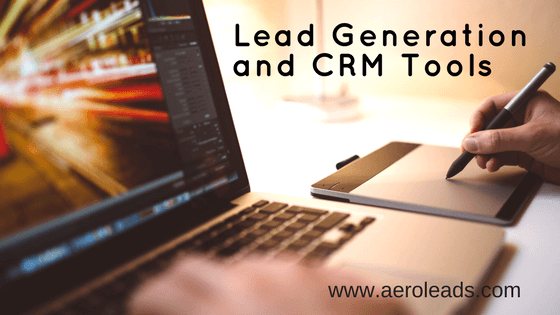 How CRM and Lead Generation Tools Helps You to Close More Deals Every Month? Sales !!! Is not just a small process as the word is. There involves a number of steps to generate one sale. It’s a cycle, a continuous and strategically well-designed process. Usually, we all follow a general process that is lead generation→qualification→ Communication with deal→ deal won or lost→post sales. Now, this is the shortest cycle that we tried to explain but there are many micro-processes to make this a complete chain and then it is possible to drive sales. Today, Pre-sales or inside sales, core sales and post-sales & support are considered as separate departments or parts but in fact, I would say that they are interlinked and work in collaboration. To manage both pre-sales and post-sales, big businesses and even start-ups have started using multiple tools which will help them keep things organized without any manual efforts. Listing on various sites like justdial,indiamart etc. So then how can you ensure you have a foolproof process to generate leads without investing time and energy? There are multiple online tools and software that make this task easy for you. You can sit back and relax while Lead Generation Software generates qualified leads for you. The most powerful tool for generating these leads is Aeroleads. The best part of using this tool is you generate leads by installing a google chrome plugin. You can search prospects from Linkedin, Crunchbase, AngelList and add them in AeroLeads using their widget. Aeroleads will find an email, phone number etc. of your prospects. There are 4 layers of verification before they call it a qualified lead. Plus you can export this data in CSV format or can also integrate with Salesforce, MailChimp, Hubspot etc. Once you have qualified leads in hand, your inside sales team can be more productive by directly fixing up a meeting with your prospects or by also giving them product demo. This will productively utilize their time as now the team will be busy doing actual sales related tasks and not mundane cold calling jobs that yield very less productive leads. Leads need to be nurtured only then they convert into deals which are your new business opportunities. How will you nurture these deals? Your set of qualified leads come to the business development team. Sometimes Business development team can also be your lead generation team. A CRM can be easily accessible platforms by all teams like inside sales, business development, and support. All these departments are interlinked and work like a bridge for each other. When the set of qualified leads is ready you can directly import them in CRM without wasting time on manual entry. You can customize CRM as per your industry and its requirements. A CRM will help you store all conversation with your prospects/ clients and you can also check the historical communication for reference whenever required. With a CRM you can also sync your emails and send email to your clients which makes you free from all the communication tracking hassles. You can set yourself or your team task reminders so you do not miss on taking your clients for lunch or Make a quick call. You can easily track all your open and closed business opportunities by building and having visuals of a deal pipeline. Such visuals will help you focus on closing all the open business opportunities. Create reports at the end of the month for analysis sales done in particular tenure or you can also track sales team performance. These are just a few benefits of thinking ahead and going with a CRM. Now analyze how helpful it will be if you are able to automate all these tasks? A CRM can be your sales automation software as well. Send automated birthday wishes to all your customers. You can notify your sales team members about new leads coming in. You can set automated tasks for your sales team. So these are really few examples of how a CRM lets you manage things smoothly and helps you to focus on core activities rather than adding efforts in organizing your marketing and sales activities. After sales are absolutely important because that determines the duration that the client will stay with you. You can also get opportunities to upsell if you provide proper sales and after-sales support. Customer support team will always be on a non-aggressive side than sales team and that helps to retain business relations with clients. For this, a CSM and sales team must use a similar platform like a Sales CRM which will give a record of all the historical communication which has happened between sales team and customer. Also, the communication that happens between a CSM and customer can be easily recorded and that will further strengthen ties between sales and support team. This will benefit the sales team as they are cracking the deal without miscommunication. To summarise, a lead generation software and CRM tool can help you reduce the manual efforts and you will be able to better invest your time in closing more deals which will boost your sales and help you grow. Not just reducing efforts but this will also help you analyze your growth easily which would otherwise consume time.